Hiring a carpet cleaning service for the first time can be a daunting task, but here at Clean Gutters we work hard to make sure that bringing in a professional carpet cleaner is an easy and smooth experience. You'll be amazed at how easy it is to book a cleaner with us. Once you've had a chat with us about your cleaning worries, you can sit back, take it easy and enjoy seeing the results. You'll be stunned at what we can achieve in your house or office when we carry out our ever popular rug cleaning and upholstery cleaning services. You'll see those nasty carpet stains disappear. You'll witness all signs of grubbiness disintegrate and you'll see your home sparkle and shine as if brand new. It's incredible just how up lifting an efficient cleaning service can be, and you may be equally amazed at how easy it is to book a cleaner with us. Call us on 020 3540 7989 to learn more about what services and packages we can provide for you and at what prices. We care deeply about offering you unbeatable prices for our services, which is why we aim to take out the stress in paying for a cleaner. Everyone deserves a great cleaning experience at great value for money, and we aim to offer the most competitive prices throughout Greater London. Living or staying over in Greater London has all the benefits of Central London without the complexities and chaos that Central London can bring! Greater London can be considered to be the outer rings of London beyond what the transport system calls 'zone 2' and goes as far out as the M25 motorway. Culturally, Greater London has so much to offer from its outer boroughs. These include Croyden, Sutton, Hounslow, Hillingdon, Enfield, Havering and Waltham Forest. The houses are cheaper, the schools are often classed as a higher standard and parking is far easier too. You'll find much larger supermarket hubs but also greater concentrations of independent shops and cafés. It is often said that Greater London also has much more of community feel to it, with locals holding more communal events, adding character and fun to everyday living. And what's more, it's greener out there too. It's a far more refreshing area of London with more parks that are bigger than your inner London parks. 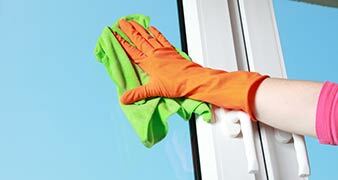 So don't put it off until another day and don't hesitate to get in touch with your cleaning needs. 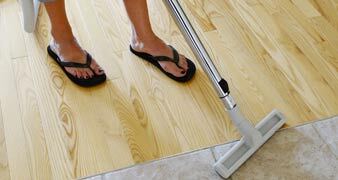 The longer you leave your carpet to fester and gain yet more dirt the more you'll worry about getting it cleaned. It just simply couldn't be easier to call Clean Gutters on 020 3540 7989 and learn how our carpet cleaning can rescue and restore your carpet from the brink of no return. Every day we have a growing number of customers returning to us because we deliver the highest standards every single time with every single job. Of course, you may question whether you can trust a carpet cleaner to enter your property and actually carry out the high standard of cleaning you'd expect. We can only look to our glowing testimonials from our loyal customers who have seen how reliable, swift and careful our team of highly skilled and professional cleaners can be. They will arrive at your house or office at your time of choosing. Using state of the art cleaning equipment and materials, they will provide all the carpet cleaning, rug cleaning and steam cleaning you need and then leave your house feeling fresh and tingly clean for you to enjoy! It's as simple as that. It's so simple, you'll be wondering why you left it so long before calling us.